I have to agree with everyone that has already posted, these bolsters are great! Heavy, soft, durable. I will order more! This was just what I wanted! Love these. They are sturdy, great support and very soft. The covers are removable for easy cleaning! Pretty color, different from our old ones so everyone was super excited to get then. They are big and pretty firm. So far they are filling the bill at our club. Moms-To-Be Will LOVE This Product! I used this bolster when I was pregnant with my 2nd child. 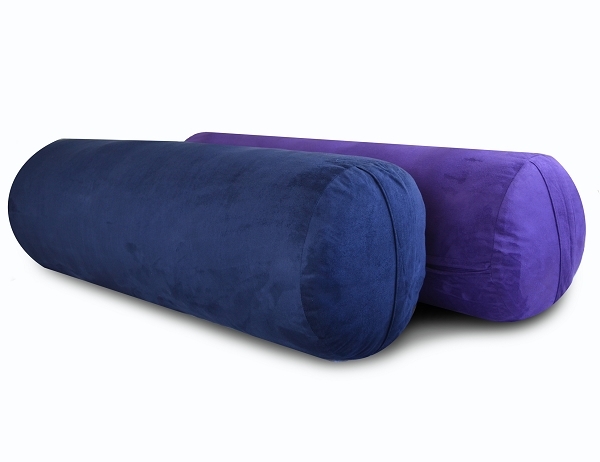 It's very soft and comfortable and was a staple accessory in my prenatal yoga class. Easy to clean too. Highly recommend! Very satisfied with this bolster! The microfiber cover is very comfortable and easy to keep clean. Price was good as is the over-all quality. These are amazing! They are nice and heavy and the fabric on them is sooo cozy! What a great deal! !